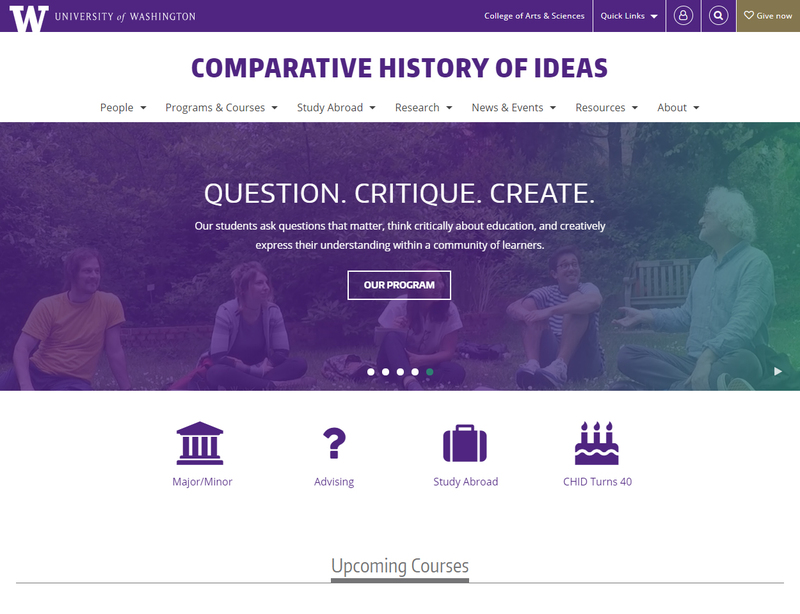 UW Comparative History of Ideas Program (Redesign) | Heather Wozniak, Ph.D. Academic department at the University of Washington. A comprehesive visual redesign of an existing Drupal site in the College of Arts & Sciences Department Web Framework. With support from a graphic designer and marketing specialist, I led the department stakeholders through the process of identifying departmental objectives, developing messaging strategy, and selecting new layouts and imagery. I configured the site to support the selected theme and wrote front-end code.